Once, after a long work day, I stopped at a local fast food restaurant to pick up some dinner on my way home. In my car, I began to order through the drive-through speaker, when a woman approached my car. She proceeded to accuse me of having a bomb in my car’s trunk that I was going to use to blow up the country. She was losing her temper as she neared my car, shouting loudly with her accusations. An employee of the restaurant must have heard the commotion, as he came out to quickly usher her away from my vehicle. Of course, I am not a terrorist. I am, however, a Sikh American with a turban and beard. Unfortunately, in the minds of many, “terrorist” has become a word used to describe people of certain physical characteristics, with dangerous consequences. I was reminded of my experience at the drive-through when I heard the news that a Sikh physician named Prabhjot Singh was attacked by a bicycle-riding mob in Harlem last Saturday night. Unlike me, he was actually physically assaulted –- they pulled on his beard, and he was kicked and punched until bystanders came to his aid. He was taken to hospital where he received treatment for a fractured jaw and other injuries. His attackers openly stated their motivation: just prior to the assault, Dr. Singh recalls being called a terrorist and “Osama” before the mob attacked him. A professor at Columbia University who specializes in community health systems for underserved communities, the word “terrorist” could hardly apply to Dr. Singh, unless his attackers meant something else. Dr. Singh, as an observant Sikh, wears a turban and maintains a beard in accordance with his Sikh faith. He believes that these characteristics led his attackers to assault him; in our news and entertainment media, men with turbans and beards are often portrayed as terrorists and as threats to America. In fact, a recent study by the Sikh American Legal Defense and Education Fund and Stanford University demonstrated that, among other things, Americans associate turbans with Osama bin Laden. Yet, 99% of the people who wear turbans and beards in this country are Sikhs, a distinct faith group and a proud part of the American fabric for well over one hundred years.. Sadly, the study’s results were not surprising. It is an all-too-common story that Sikh Americans are misunderstood and targeted in this way. Just this summer, a Sikh house of worship in Riverside, California, was vandalized with the word “terrorist” sprayed on its walls. We even see the usage of the word among our children. Sikh students, who are disproportionately bullied in schools, often report being called a terrorist by other schoolmates. Certainly, no child deserves that label. It is not only Sikh Americans who are labeled in this way. Other innocent Americans of South Asian and Middle Eastern descent are often the recipients of such insult. On the day that Dr. Singh was assaulted, a Muslim woman in Times Square was also called a terrorist and attacked as well. In December, 2012, a Hindu man named Sunando Sen was killed when a woman pushed him from a subway platform in Queens;she also considered him a terrorist. Or, we could just look to the hostile reaction on social media after Nina Davuluri, who happens to be an Indian American, was crowned as Miss America last week. Then, too, the “t-word” epithet was directed at her. Obviously, none of these people were in any way a terrorist in the literal sense of the word, but what is apparent is that the word has now become a racial epithet – it is often directed to innocent people who exhibit certain physical features, rather than used as a descriptor of a person’s actions. The word has become an insult hurled from passers-by, from children in schools, or from attackers towards those who wear a turban, are of Indian or Middle Eastern descent, or who just have brown skin. The Merriam-Webster Dictionary defines terrorism as “the use of violent acts to frighten the people in an area as a way of trying to achieve a political goal.” Given this definition, the use of “terrorist” as an epithet insults a particular group of people and implicates them as a military enemy who can legitimately be targeted with violence. Calling someone a terrorist in this way presumes a demographic belonging and therefore creates an unfair sense of shared blame for evil acts. In the United States — which 12 years ago declared a “war on terror” — using the word “terrorist” legitimizes misguided acts of violence against people based only on how they look. As we saw once again in the attack on Dr. Prabhjot Singh, the word’s new meaning has had severe consequences for too many innocent Americans. 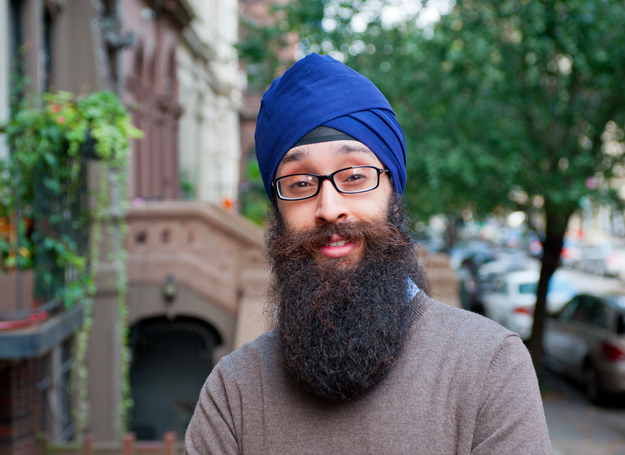 Rupinder Mohan Singh is a Volunteer Advocate with the Sikh Coalition, and is author of American Turban, a blog about Sikhs in America, which you can read at http://www.americanturban.com.